systems that we want to explore with Laravel including database interactions, forms, and routing. to create a database for this application. Keep the database name, user, and password handy. the driver as the default database connection. Then, in the Connections section add your database name, user, and password. Ok! We’re just where we want to be. Let’s get started by creating the users table. can deploy our changes to any number of systems without the potential for human error. with others. Like using source control, migrations are always a good idea. too much additional work at first. But, stick with it and their value will become quickly apparent. Let’s start by creating our migration template with Laravel’s command-line tool Artisan. see a nice readout telling you which version of PHP you’re running. Windows users will need to right-click on Computer from the start menu and click on Properties. the system variable PATH and add the directory that contains your PHP binary. your database connection information is correct. Next, let’s create a new migration template in our application/migrations folder. 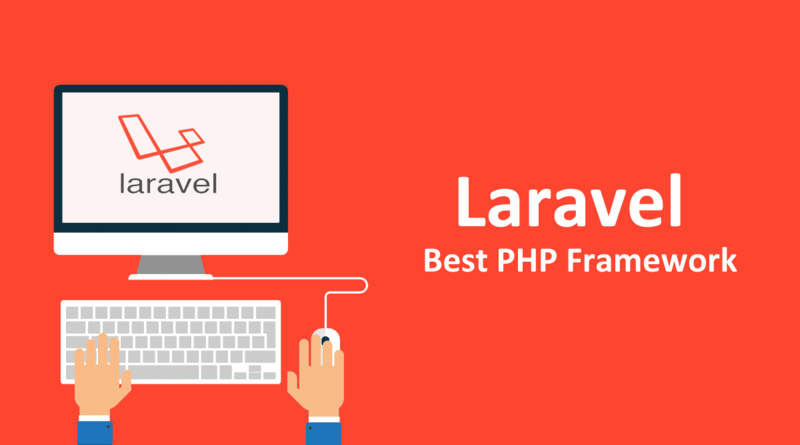 important as it helps Laravel to understand the order in which it should run the migrations. before. The class has two methods, up() and down(). changes to the database. The down() method is for reverting your changes. * Make changes to the database. * Revert the changes to the database. creating or making modifications to tables, we use the Schema class’ table() method. the table name as a prefix is to simplify query generation when using a query builder. interactions for you, removing the need for you to continuously write the boilerplate code. This line creates a VARCHAR field named email with a length of 300.
field as we’ll need that length for the output from Laravel’s Hash class. method creates a database table called users. So, the down() method should remove the table. value containing the name of the table that you wish to drop. Now, we should see the message, Migrated: 2012_08_16_112327_create_users_table. migration testing verifies that the up() and down() methods both function as intended. that your database no longer contains the users table. That’s it! This migration is good to go. Run your migrations for one last time and let’s move on to the next step. This is all we need! This tells Laravel that our user model represents data in the users table. Wait! We can see how using conventions prevents us from having to make a bunch of configurations. store the hashed value in the database. Let’s look at some code. setter methods will not be called and the data will be directly modified within the model. requests are routed, simply by reviewing this file. are commonly referred to as the HTTP verbs. they’re typically creating a POST request. Let’s update the example and test the route. Notice that instead of using echo to output the string we’re returning it. handle many situations in a robust way. referred to as CRUD methods. this alone can save you many hours on large sites. fields in our users database table. Next, we tell Eloquent that we want to save the contents of this model to the database. Finally, we output this string to the browser so that we know that all is well. confirmation message that the user has been saved to the database. you. It’s that easy to create new database records with Eloquent! and why should we use them? our database data to the view for formatting. affect all of the methods inside it. We’ll explore more of this concept later. of the users in the system. To display a list of users, we’re going to need to create a view. and loops are used within the view to display and format dynamic content. shortcuts for common tasks so that your views are cleaner and easier to create and maintain. wish to use Blade simply name the file index.php. It’s not pretty. But, it’s easy to understand. look at what’s happening here. admin/users/create.php would be written as admin.users.create. the result and allow Laravel to handle things appropriately. Now, when we go to http://myfirst.dev/users, we’ll see the view that we just created! we’ll update our view to display the user data received from the controller. are instantiations of our User class. created in the view. The second argument will be the value of that variable. to the fact that users was the first argument to the with() method. Looks like we haven’t added any users, yet! any data, we output a message saying so. actions based on the request method. Let’s configure our application to use RESTful controllers. add the $restful configuration to it and all of our controllers will be affected. * Catch-all method for requests that can’t be matched. But, wait. Now, we’ll get a 404 error when we go to http://myfirst.dev/users. This is because we are not declaring our actions the RESTful way. that we were using previously. the methods in their browsers. and maintainability of our application. it’s not pretty but sometimes simple is best. contents of the form’s submitted input fields. Now that we are receiving the data from the form, we can go ahead and create the user account. only difference is that we’re using Laravel’s Input class to retrieve the data from the form. the Input::get() method can be used to retrieve the data. We populate the User object with input data. Then we save the new user. the user that they just created. Go ahead and give it a try! need to change dynamically. Let’s look at an example to clarify this point. by passing a variable to that method instead of declaring it inline. Now, let’s step through this. additional URI segments as arguments to the method. Next, we need to verify that a user with the specified user ID actually exists. the $user variable will contain a null value. not found. If so, we’ll redirect back to the users index. Next, we delete the user and redirect back to the users index. we’ve irreparably removed data from the database. I hope it wasn’t anything important! Here we have our new get_update() method. This method accepts a user ID as an argument. database to verify that it exists. Then, we’ll pass that user to the update form. When a user submits our update form, they’ll be routed to post_update(). You may have noticed a common theme with methods that receive a user ID as an argument. validate that it is not null. and update the attribute in the model. We then save the changes to the user and redirect back to the users index page. Now, we just need to create the update form and we’ll have a full administrative system! through and generate the HTML yourself. prepopulate the email field in the same way. functionality to prepopulate this field at all. And with that we have a fully working update user form! You can hire our team for any assistance .